Google Adwords - Does it Really Work for Small Business? Google Adwords – Does it Really Work for Small Business? A new study by Kinex Media Online Marketing Team claims that Paid search has 77.2 percent click share vs. 22.8 percent for organic search, for small business companies. I know this is a shocking fact, but without any doubt Google Adwords is one of the most effective and efficient way to advertise your business online. 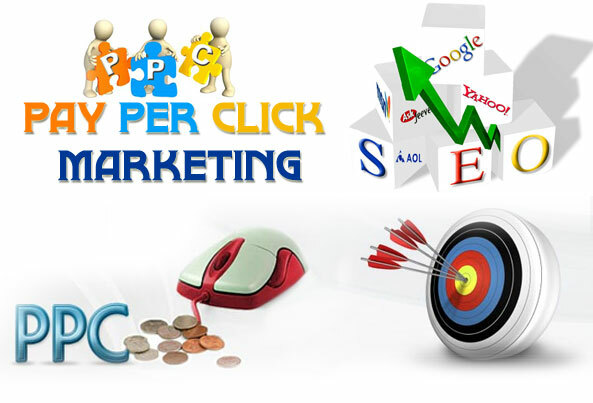 PPC should be at top of the list of every small business Entrepreneur. Everybody knows, Google have a strangle hold on the ‘search engine’ market. So it’s important that you at least consider advertising on Google. After all it’s where the majority of the eyeballs are. Frankly, it has got to the point now where your customers EXPECT you to be on Google and if you’re not, you might as well not exist. I know this is harsh, but this is the truth. Adwords is the best way to attract immediate business to your online site. Paid search is the quickest method to list your website on search engine result page. It gives you the choice to display your ad on selected keywords and helps you to target the potential customers. People setup adwords to appear for certain keywords, and then pay every time someone clicks on their ad and goes to their page. This is why it’s called PPC (Pay Per Click). PPC (Pay Per Click) advertising is a great way to get traffic to your site immediately, and is often used by new small businesses to give everything a good kick start. Do some keyword research first. You can use Google’s Keyword Research Tool and some other tools like SEM(Search Engine Marketing) Rush etc. to do research on appropriate keywords list. Does your ads looks tempting enough? Try to think innovative for your ads tagline and make something which looks convincing to your customers. Your landing page should be relevant to your ads! On Google Adwords, you can choose what page your adwords takes your customer to, so make sure it’s relevant to the ad itself. Make sure your Quality score for keywords is high. In Google ads everything revolves around the quality score and it can also help you in decreasing the “CPC” (Cost Per Click) for keywords. Record your results!! After all how will know which adverts work if you don’t know how many people go on to buy after clicking on your advert. These are the few tips to start your online marketing campaign. You can also contact Kinex Media Marketing Team to help you out with the adwords setup and maintenance packages. Kinex Media has a team of Adwords Specialists which are Google Certificated and have years of experience with online marketing. You’re now ready to setup your Google Adwords. Go On!